Six years ago, the Reformed high school was renationalized by the Romanian state, after which the Transylvanian Reformed Church District appealed to the Romanian Supreme Court. On 22 November 2018, the Court rejected the appeal to rightfully reclaim the school. Székely Mikó Reformed High School was built by contributions, owned and operated since 1859 by the Reformed Church in Romania until its confiscation. The Communist regime confiscated it from the Transylvanian Reformed Church District, as it did with all its possessions. It was used afterwards by the Romanian state for its own purposes. In addition, the Communist regime ‘sold’ the flats that are part of the college and served as lodgings for the teaching staff. In May 2002, the building of the High School was duly restituted to the Reformed Church in Romania, applying the law that is still valid. The Romanian State subsequently sued for the nullification of the restitution – in effect, seeking to renationalize it - and demanded monetary compensation from the Reformed Church and the imposition of severe criminal penalties for the officials who had ruled in favor of the restitution. The evidence appeared to be unassailable: the Székely Mikó High School belonged to the Reformed Church in Romania in 1948 when it was illegally nationalized. 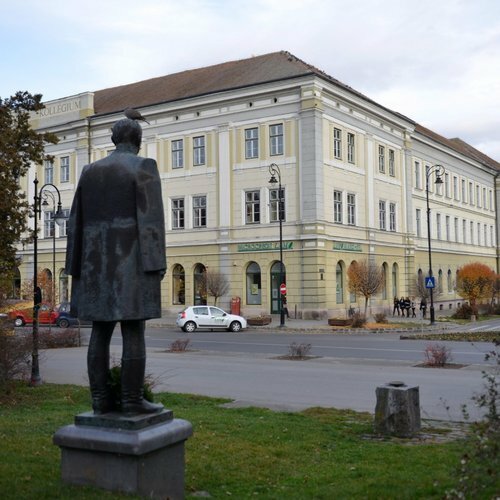 Moreover, the officials of Sepsiszentgörgy – members of the City Council and the mayor – testified in the pending proceeding in support of the legality of the restitution of the high school to the Reformed Church. At the conclusion of the first stage of the trial on June 29, 2012, the three individual defendants of the property right received three-year prison sentences each, the Reformed Church was ordered to pay 1 million Romanian lei, and the property was re-nationalized. Following the re-nationalization of Székely Mikó Reformed High School in 2012, several church organizations, including the Church and Society Commission of the Conference of European Churches as well as the World Communion of Reformed Churches, expressed solidarity with the Transylvanian Reformed Church District and indeed all Hungarian churches in Romania facing the same discrimination. The letters also asserted outrage over the government's actions, most notably the three committee members' arrests. The Hungarian community in Transylvania justifiably views this case not only as an illegal property nationalization, but also as an action expressly directed against the Hungarian minority in Romania and a manifestation of intolerance and discrimination. The Romanian State is now questioning the ownership of all restituted estates since 1990. This act of renationalization clearly sends the message worldwide that in this country anything can be changed at any time, that there is no legal case that cannot be reopened and no private property is exempt from renationalization. Since the case of the Székely Mikó Reformed High School, the practice and the approach of the Special Committee of Restitution was that all similar requests in which the property belonged to any organization, foundation or educational institution founded and administrated by the church and nationalized from the church were denied. It is obvious that the Romanian state does not respect its own Constitution that guarantees the right to private property. Not only does it not respect its own restitution law but the Romanian state also misuses the legal system into reversing previous decisions. Romania only complied with its own laws until it was accepted into the European Union. Once in, it began to seize back restituted properties and sent some of their representatives, who were standing up for the right of property, to prison, just like in the darkest days of Communism. Recently the Romanian Supreme Court on the 22nd of November, 2018 rejected the appeal of the Transylvanian Reformed Church District, thus the restitution of the estate to its rightful owners. Read more about Székely Mikó High School here.